and my, was he handsome! Oh my gosh, I didn't know it was his birthday! I just love him! He really is one the most underrated actors ever! By all accounts he seems to have been a very decent chap too. Love Sullivan's Travels, one of my favorite movies with one of my favorite actors. I agree with Millie, he was incredibly underrated as an actor. I think Preston Sturges/Joel McCrea was one of the greatest director/actor combinations. Like John Ford/John Wayne great. 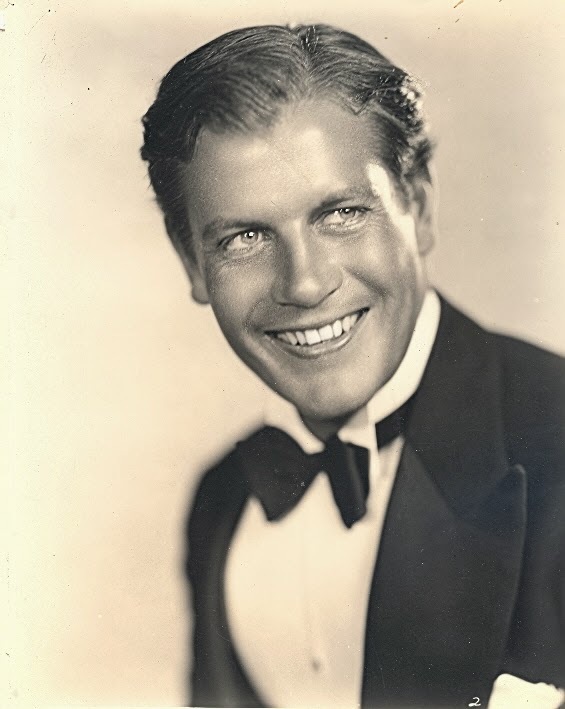 Happy birthday to Joel McCrea! My fave Joel McCrea movie is Sam Peckinpah's RIDE THE HIGH COUNTRY. He gives a marvelous understated performance and brings out the best in Randolph Scott. Oh Kate, it's been eons since I've been here! Gorgeous blog you have here Kate, and most impressive original art too! Very glad I found you... keep up the good work! Wow. Happy Birthday to Joel. I raise a toast in his honor. Cheers!